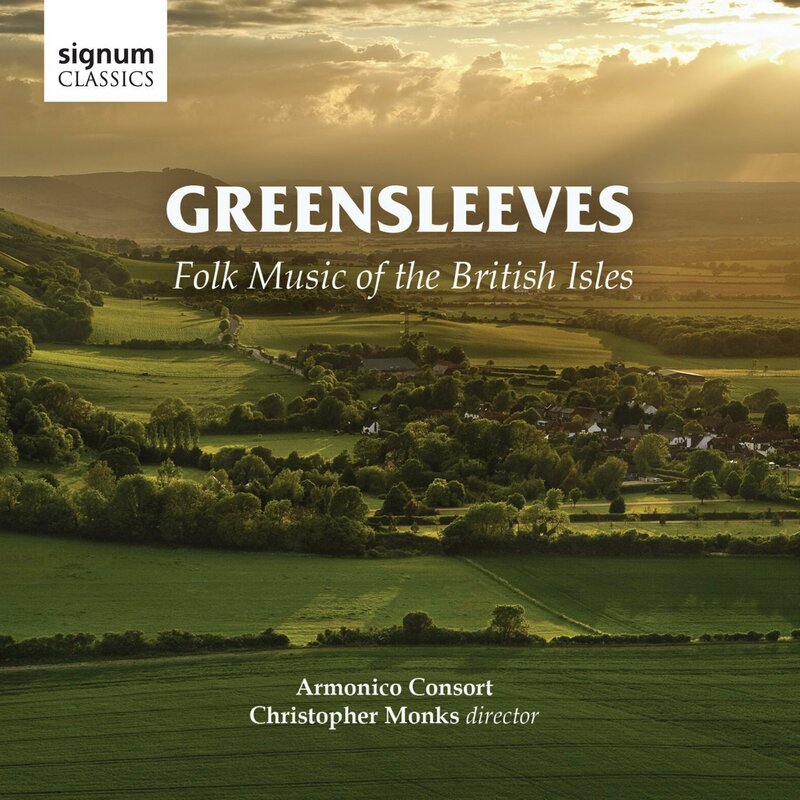 Having developed a number of larger scale projects, Christopher Monks and the Armonico Consort return to their roots with this disc on Signum Classics of folk-songs from the British Isles arranged by Geoffrey Webber, Toby Young, Christopher Monks, Gustav Holst, RVW and Patrick Hadley. In his booklet note Christopher Monks explains that in the early days of the Armonico Consort the group performed a large number of smaller scale programmes which usually included some folk songs. Influential amongst these were arrangements by Geoffrey Webber of Gonville and Caius College, Cambridge. Monks had been a music scholar at the college and Webber's highly effective arrangements were a staple of the choir for lighter moments. On this disc they are joined by arrangements from the influential greats of the British folk-song movement, RVW and Holst, along with new arrangements commissioned from Armonico Consort member Toby Young, one of Monks' own and one by Patrick Hadley who wrote a number of folk-song arrangements for the Gonville and Caius Choir. Also on the disc are three non-folksong items, Stanford's The Blue Bird, Robert Pearsall's Lay a Garland and Thomas Morley's Now is the Month of Maying. The Stanford is so popular with choirs it almost achieves folk-status and Stanford's beautiful simplicity of writing echoes some of the folk-song arrangements whilst Morley's madrigal makes a delightful foil. But Pearsall's part-song with its spectacular use of suspensions seems a long way from the other items on the disc, lovely though it is. The folk-songs arrangements themselves all come from the same stable, very much English Romantic with a discreet yet highly effective use of harmony, and it is interesting to hear how Webber and Young expand the palate that we expect from RVW. The disc works because the ten singers of the Armonico Consort sing with such superb skill. Their tone is finely focussed and lithe, yet with a strength which makes you think more singers might have been involved. It is not just musical values which make the performance stand out, the lovely sense of line is combined with great diction and sense of the words. I would have liked more attempt at some sort of regional accent but instead we get standard received throughout (with an awkward fudge to make 'lass' rhyme with 'grass' when pronounced in standard received). Six of the singers take solo moments, and the arrangements make a great use of these solo voices so we have some lovely fine-grained solo moments. I could have wished for a slightly wider range in the arrangements, something rumbustious by Grainger perhaps? But this is a disc which works because the singers combine fine musical quality with a sympathy and enthusiasm for their material, giving us a delightfully evocative 50 minutes.